Can Boss and Staff Relationships Put Your Company at Risk? In today’s business world, there’s a delicate balancing act that has many questioning the fine line between boss and friend. As the hiring trend of pinpointing like-minded individuals and those that “mesh well with the team” a staple in the recruiting process, it’s inevitable that many colleagues develop friendships that sustain beyond the 9-5. 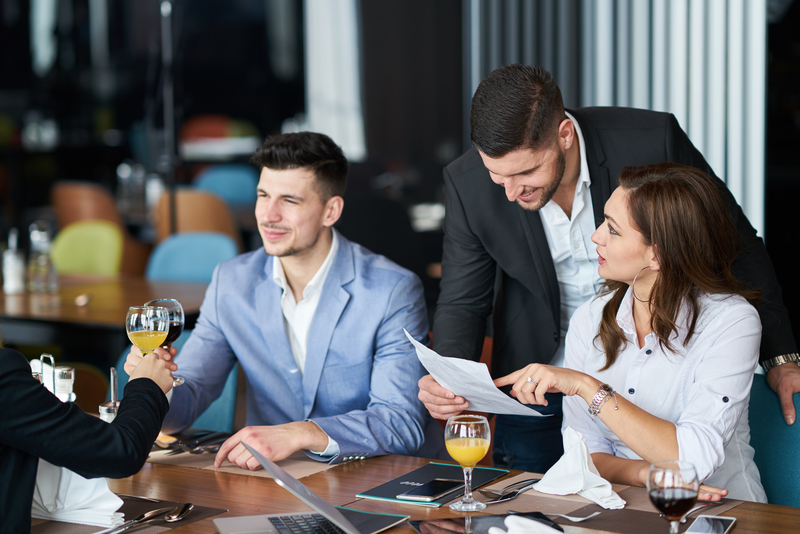 Those in leadership positions are integrated into these working relationships as well – from the after work happy hours to the weekend BBQs with families of co-workers. While it’s no secret that teambuilding and camaraderie play an integral role in most companies, one should consider the boundaries that must exist between management and direct reports despite a mutual regard. Ignoring these underlying differences could put your company at-risk for a labor-relations dispute. From favoritism to sexual harassment, management missteps stemming from “friendly relationships” could cost your company millions in litigation and damages. Let’s say you’re promoting from within. Colleagues may perceive that “one of their own” in a leadership position would result in preferential treatment and could cause dissension among those not in the same circle of friends. The newly appointed manager must recognize their position in equal treatment of employees or risk HR complaints of misconduct and unfair practices taking advantage of their position. What if a boss, who is also a friend, socializes on a weekend with coworkers. A questionable situation arises - albeit far from the office. Imagine the impact on Monday morning when they reconvene as colleagues in a professional setting. While not on-the-clock, these indiscretions can translate into an awkward state for all involved and cause an uncomfortable work setting. Regardless of whether their company status was a non-issue when the incident occurred, the domino effect of repercussions can result in an unnerving and “hostile” working environment that may lead to employee relations issues. Despite leadership needing to be cognizant of their role in (and out) of the office, a friendly relationship can, and should, exist between management and their cohorts. Management is encouraged by HR to show interest or engage in conversation about their team’s lives outside of the office. Being supportive of a colleague who approaches with issues that don’t pertain the work is not overstepping boundaries, it’s being human. Building trust with coworkers is essential to maintaining a solid working relationship, and you want to be as approachable as possible. However, knowing how to balance this report is the key to avoiding employee conflicts and HR disputes. -----------------------------------------------------------------------------------------------------------------------------LaborSoft is the number one partner for configurable, cloud-based technology that makes it easy for you to document and archive all supporting materials for labor issues and grievances. Contact us for a customized demonstration and learn how LaborSoft can help you improve communications, build a more collaborative, safe, and supportive workplace, and reduce the likelihood of costly litigation.